This rustic potato salad is a revelation compared to more mundane mayonnaise-based versions. The dressing is a Spanish-inspired blend of olive oil, red wine vinegar, garlic, smoked paprika, and cumin. 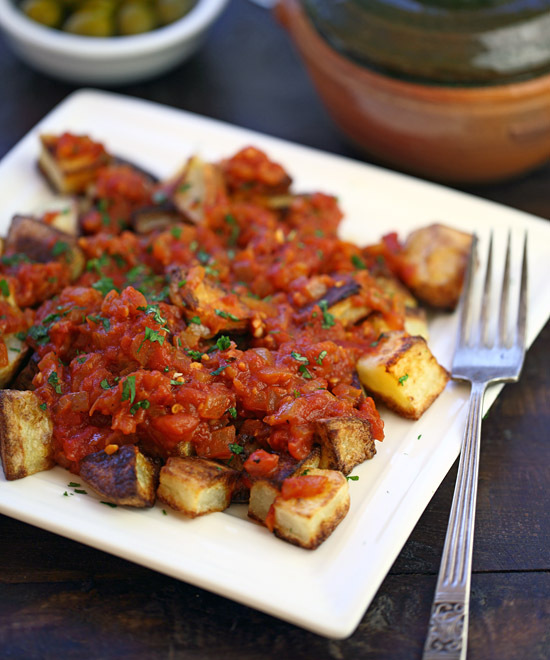 The distinct smoky taste of the paprika and the earthiness of the cumin add a rich depth of flavor to the warm potatoes, which absorb the dressing as they cool. The diced red and green peppers, which add a wonderful color and texture to the salad, are added to the pot with the potatoes in the last few minutes to lightly cook them, and soften their raw crunchiness. 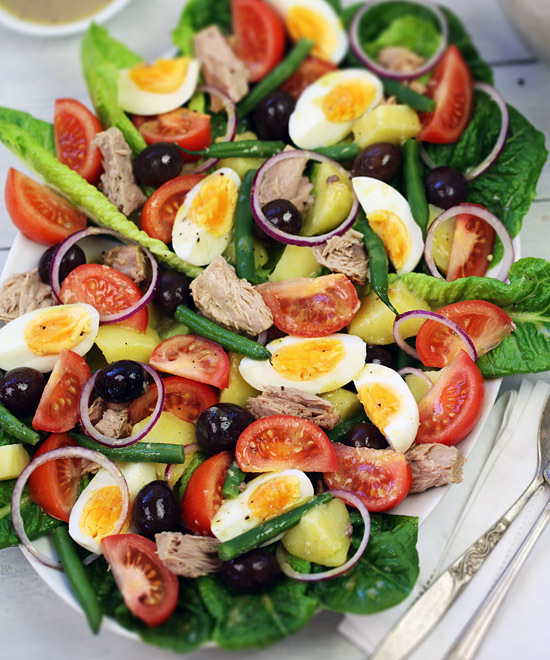 The boiled potatoes and peppers are then tossed with chunks of canned tuna, white beans, diced red onion, plump green olives, fresh parsley and the robust dressing. The combination makes a mouthwatering change from the usual potato salad, and it’s so hearty it can easily be eaten as a meal in itself – perfect for a casual lunch or dinner. 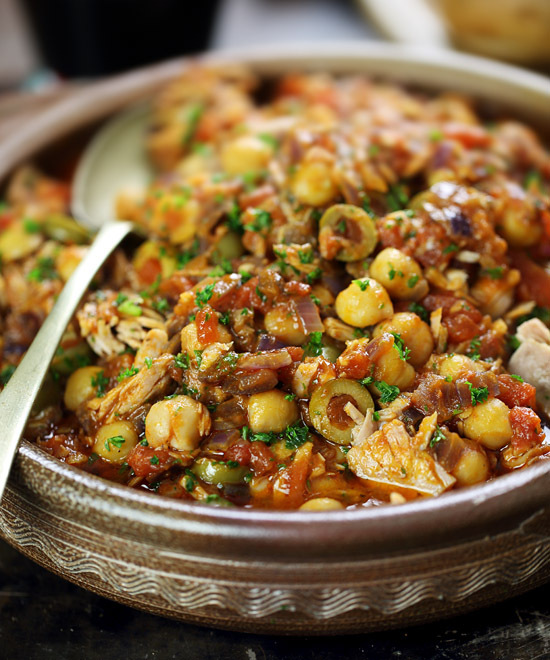 It can also be served as a side dish or as part of a traditional Spanish tapas selection. COOK the potatoes in boiling water for 10 minutes, adding the red and green peppers to the pot for the final 3 minutes of cooking. PLACE the olive oil, vinegar, garlic, cumin, paprika, salt and pepper in a jar with screw-top lid and shake to combine. 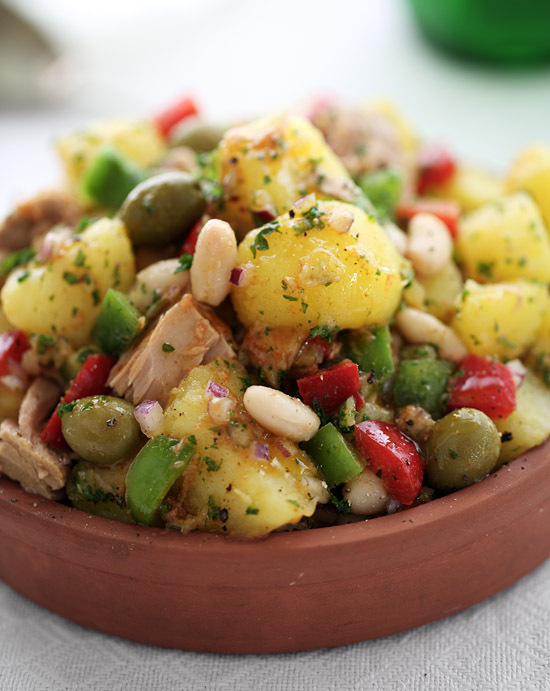 DRAIN the potatoes and peppers and place them in a large bowl with the red onion, green olives, cannellini beans, tuna and parsley. POUR the dressing over the salad ingredients and toss gently until well combined. Variations: If you want to make the salad even more opulent, you can use roasted peppers, and instead of using canned tuna you can use grilled fresh tuna cut into cubes instead.